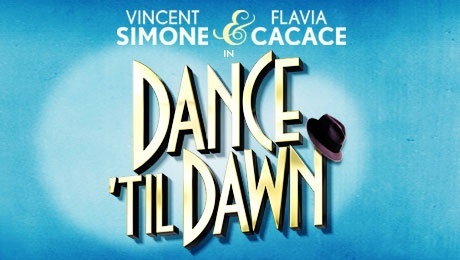 Strictly Come Dancing's Vincent Simone and Flavia Cacace are returning to theatres up and down the UK with their madcap gangster murder mystery, Dance 'Til Dawn. Following on from the success of the show's debut last year, the pair have returned with the glamour and decadence of the golden age of Hollywood. 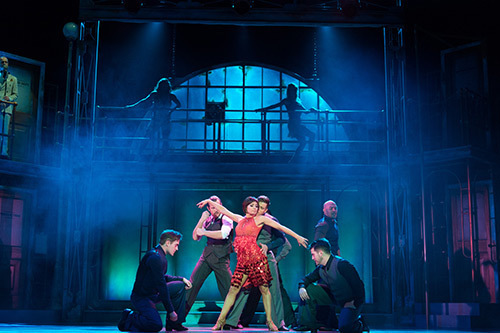 Set in 1940s Los Angeles, the choreography expertly takes the audience through a sweeping tale of romance. The dancers are supported by a live band and world class dancers. I caught the vibrant, fun show last year in Birmingham. It has a Raymond Chandler feel to the story as private detective Tommy Dubrowski narrates the murder of a silver-screen actor, who is the boyfriend of actress Sadie Strauss (Flavia). After witnessing the killing, Sadie ends up on the run with aspiring actor Tony Deluca (Vincent), who is secretly in love with her. Meanwhile, nightclub singer Lana Clemenza - a blonde bombshell who has a gaggle of gangsters at her beck and call - is out to frame Tony for the murder. You can read the full Weekend Notes review from Birmingham's New Alexandra Theatre last year here. The other bonus for Strictly Come Dancing fans will be the chance to see Flavia and Vincent again after their absence from the BBC1 show this year. Their solo scenes and dance finale are breathtaking, showing off their exceptional ability. Tickets cost from £17 to £49.